Best Place to Sell your Precious Metal Coins in Southern California: Gems & Jewelry Inc.
Are you looking for a convenient way to see your coins? Skip the hassle of trying to sell them online and come to Pawn Big Palmdale . When people try to sell precious metal coins online, they quickly get frustrated when they receive low-ball offers. When they are able to finally agree on a price with buyers, they fail to show up, and then the time-consuming process begins all over again. Instead, come to Pawn Big Palmdale . You’ll get the money you need today without having to deal with any nonsense. It’s the ultimate win-win! There’s no better way to unload your precious metal coins than by coming to Pawn Big Palmdale . 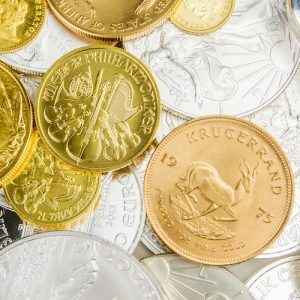 Not sure what your coins or worth, or even that they contain precious metals? Not to worry. Come to Pawn Big Palmdale and one of our expert appraisers will gladly evaluate them for you and give you their best offer. Our prices are based on the value of the specific metal and the weight of the coin, so you can rest assured that you’re getting an ideal price for each coin you sell or pawn at Pawn Big Palmdale . You may be wondering, why should I sell or pawn my coins at Pawn Big Palmdale ? There are so many place you could sell your precious metal coins, but nowhere else will you get the same level of service as at Pawn Big Palmdale . All you have to do is bring your precious metal coins in, have one of our expert appraisers evaluate them and determine their objective value, accept our offer for the sale or pawn of your coins, and walk out with the money you need within minutes. It really is that easy! There’s no need to painstakingly research each individual coin in your collection. Instead, sell it to Pawn Big Palmdale and with one simple transaction, you’ll have a big smile on your face. Don’t waste you precious free time researching each coin, only to find that it’s not actually worth that much. Come to Pawn Big Palmdale to sell or pawn your coins and you’ll walk out with serious $$$ within minutes. Think of us when you’re ready to add some coins to your collection, too! We have a vast selection of precious metal coins that’ll complete your collection beautifully. 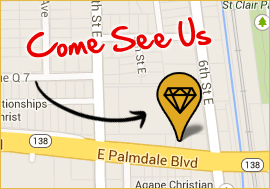 Our store is conveniently located at 557 East Palmdale Blvd. Palmdale, CA 93550 – stop by today! Business hours are Mon-Fri 10AM-6PM. Got questions? Feel free to give us a call at 661-224-1999. We’re here for all your coin selling, pawning, and buying needs. Address : 557 East Palmdale Blvd.